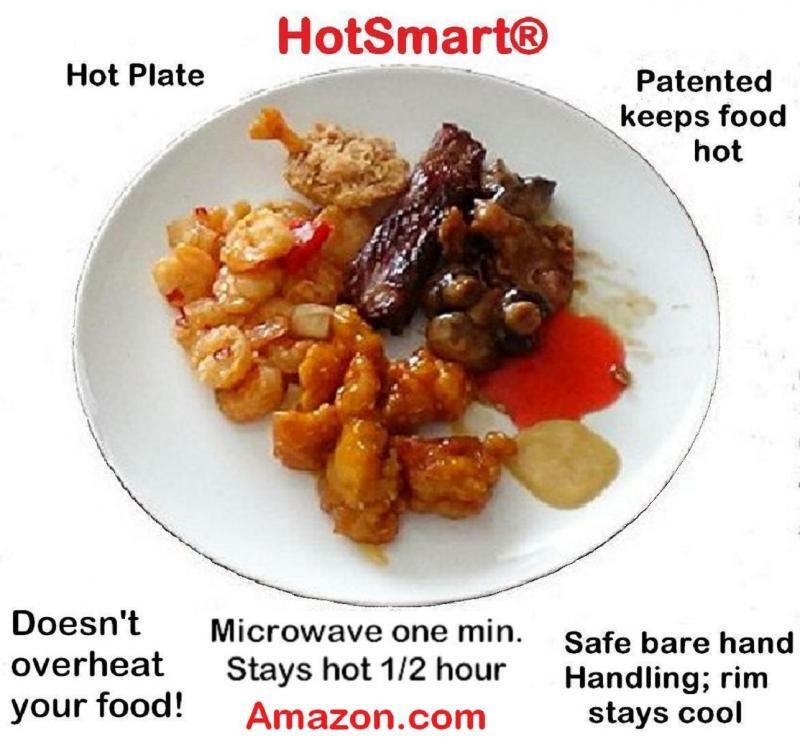 Patented Plates Keep Food Hot! 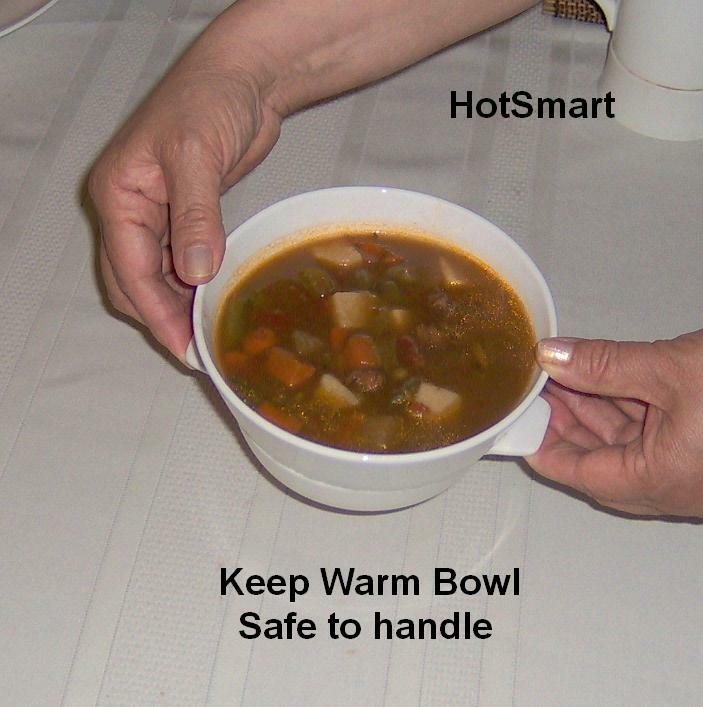 Perfect for caregiving the sick, the elder, Alzheimer's and Parkinson's patients, etc. Baby boomers love them too! 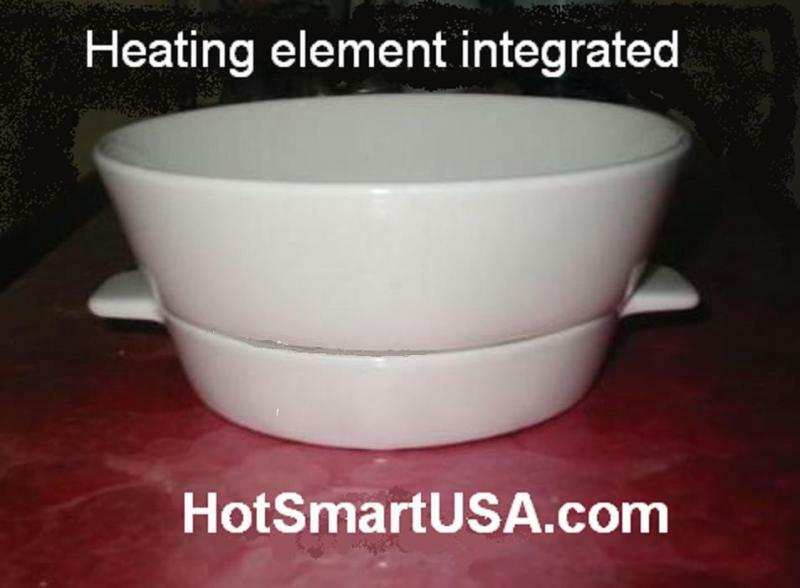 The trick is a patented heat storing device integrated that stores enough MW energy in one single minute (the plate stays hot 6 times longer than heated plates at restaurants). 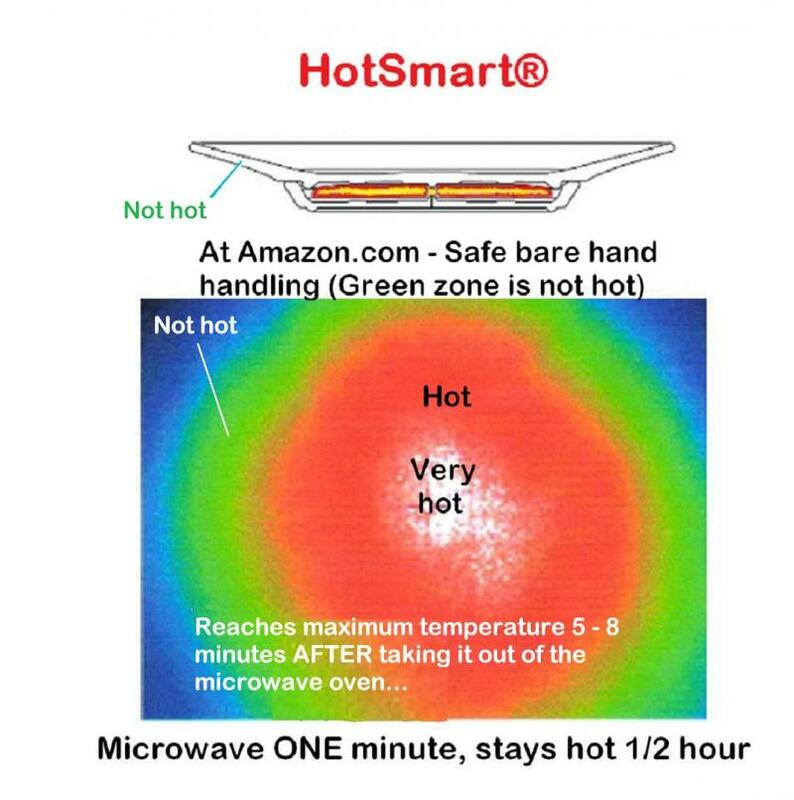 Our products are SAFE, we have been testing and using them since 2004. simply follow the instructions and your HotSmart should last for a long time (years!). 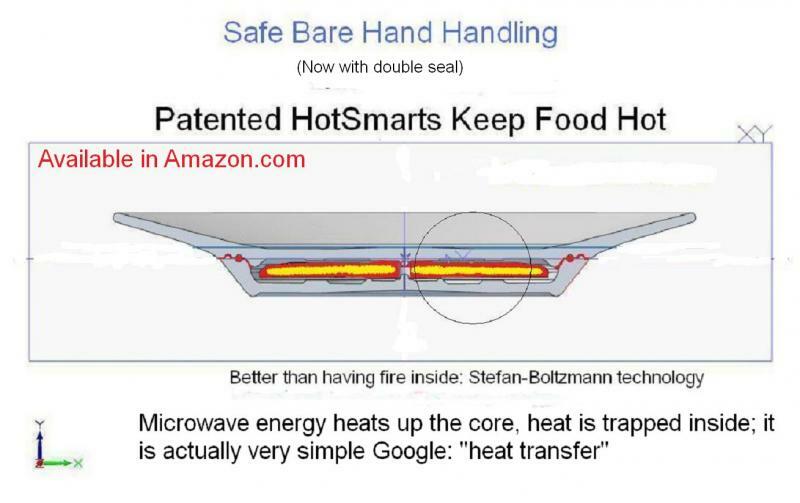 Or go to Amazon.com and type "hotsmart"
If you could see electromagnetic radiation with a magnifying glass SEE BELOW..
As a nice bonus you may avoid overeating click the image below and by all means, Google: "Eating slowly"
We are re-building our website; we made the mistake of trusting and publishing some of our information on Squidoo and they betrayed our trust (We were donating to charity)..
We have developed the most technologically advanced -yet simple- ceramic plate in the world: The "InstaHot(TM) 30 min plus" which remains still hot after half hour by being preheated for only one minute in a full size microwave oven. 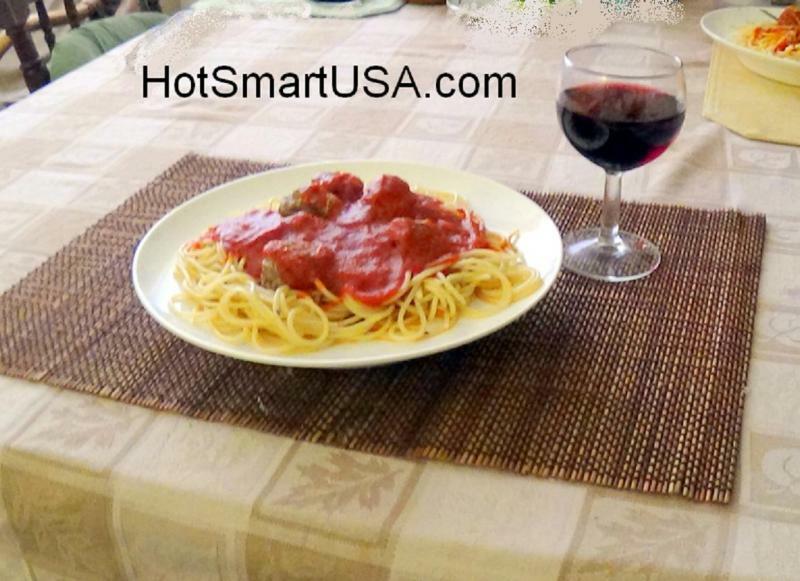 HotSmart plateskeep your food hot at the table for full enjoyment and can be handled safely with the bare hands by the rim which stays cool. 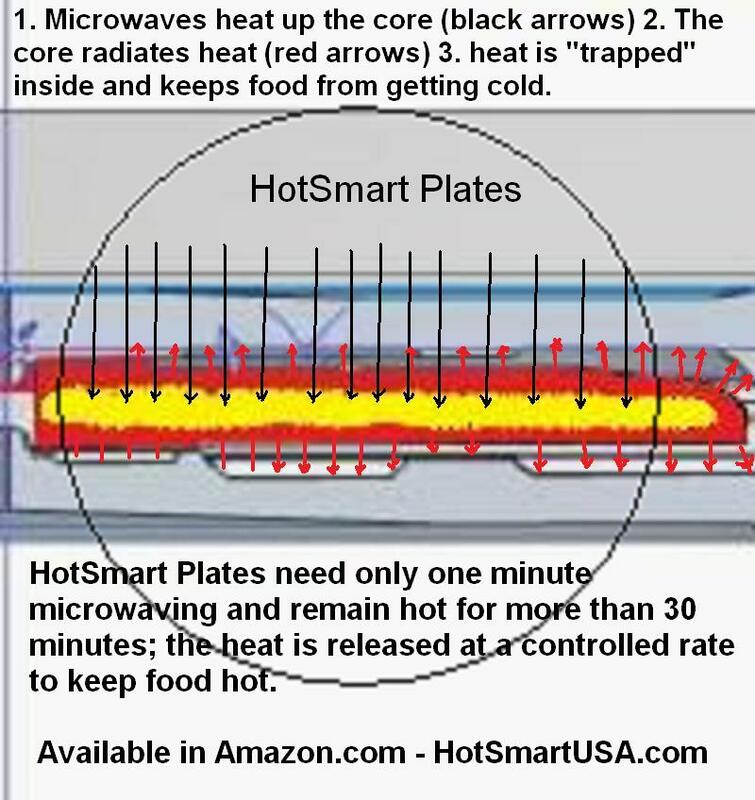 HotSmarts are actually Hi-Tec Plates designed to make obsolete all present cold plates which start cooling down your food as soon as you serve it. 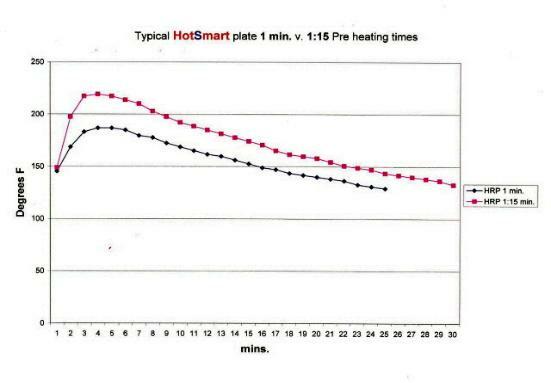 If your food is hot, a part of the heat is radiated and another great part is transferred by conduction to cold plates. 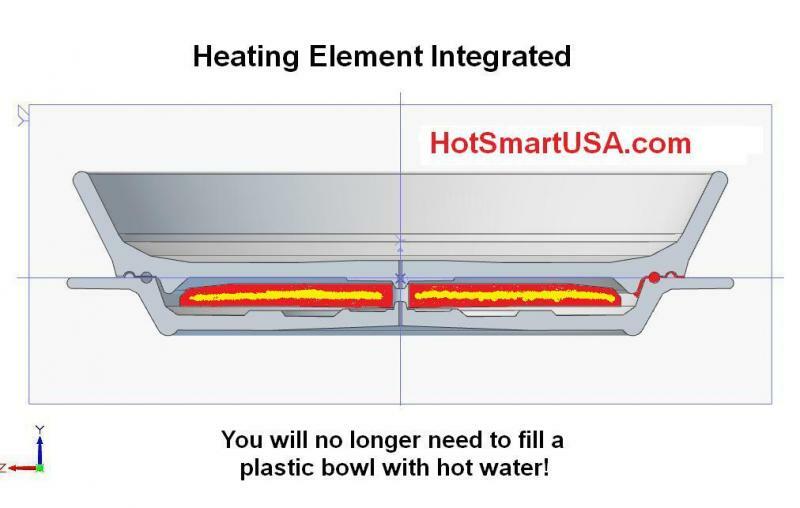 HotSmarts keep adding heat to your food until you finish. RF.5 Sealer (developed in house) and another commercial sealer are used. The design could be changed (Improved) without notice (we are now using marine epoxy). 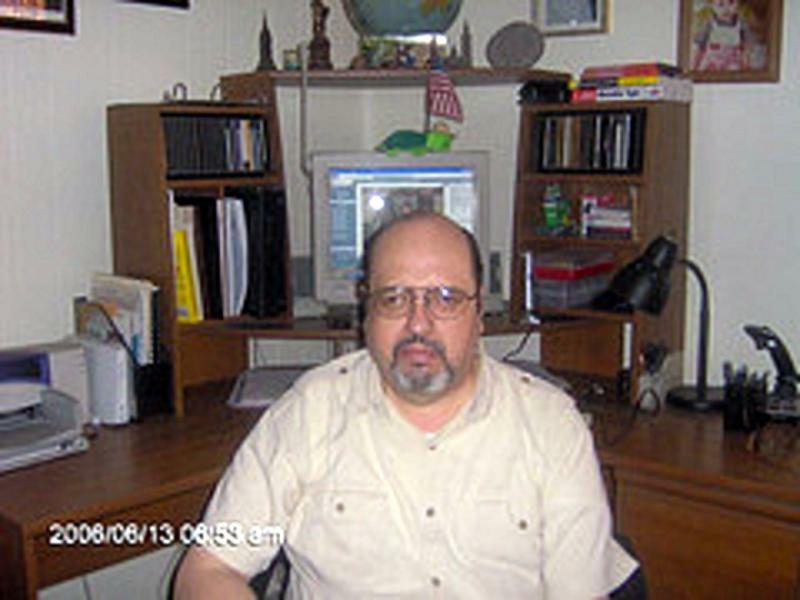 Industrial Engineer with many years of experience in the manufacturing industry: Product engineering, Q.C. (quality control), production, procurement, maintenance, etc... Stroke and brain tumor survivor, disabled person, had to invent a job for myself. All American companies rejected my design because: "it was imposible to manufacture something that you preheat ONE minute in the microwave oven and stays hot for 30 minutes*; also since "all ceramic gets hot in the microwave" so it's impossible to handle with the bare hands"
*Food stays warm depending on the amount, temperature and type of food served. "The plate does not work at all" But I have been using and testing my invention for more than 10 years now and there are hundreds of testimonies documented like: The plate is a blessing for my husband, father, sister, etc. It is not true that my phone is disconnected and I answer personally every single e-mail that I receive (This is NOT like trying to get in touch with the "seller performance team" at Amazon. Are they corrupted? I don't know but they stink. Manufactured in fine bone china; although designed to be your favorite plates to use on a daily basis, they are very appropriate for formal dinners when food gets cold even before everybody is seated. 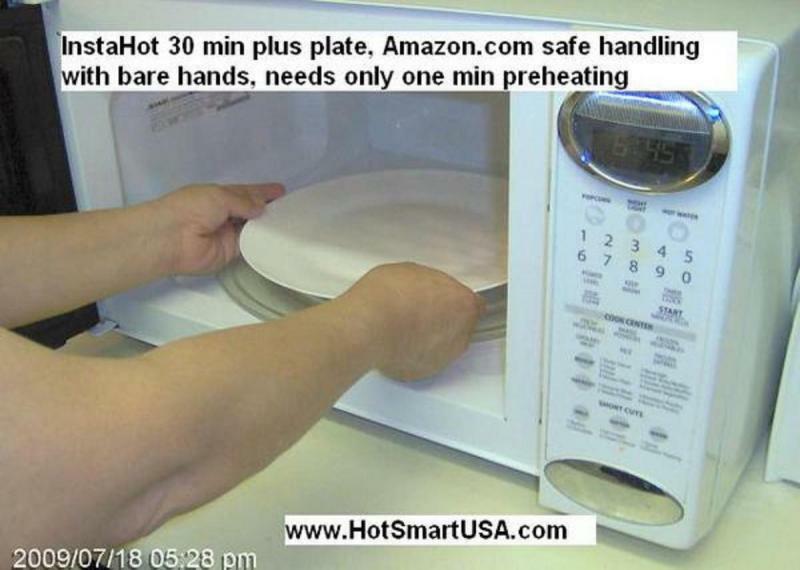 There is no other object in the world (Let alone a plate) capable of remaining still hot after 30 minutes when being preheated for only one minute in a microwave oven. Patented technology with no competitors anywhere in the world. This is historic in the industry. Going back to cold plates? the best plate in the world (You may qualify for free shipping or other offers from Amazon.com* if you order two or more). You cannot find anything more useful or original as a wedding present (Or Christmas present of course). Only a few hundred are available*. You will not find a more original and useful bridal shower or wedding present; this is actually a collector's item (Only 1,000 units* were made in the first production run). They do work as claimed; I use them everyday! 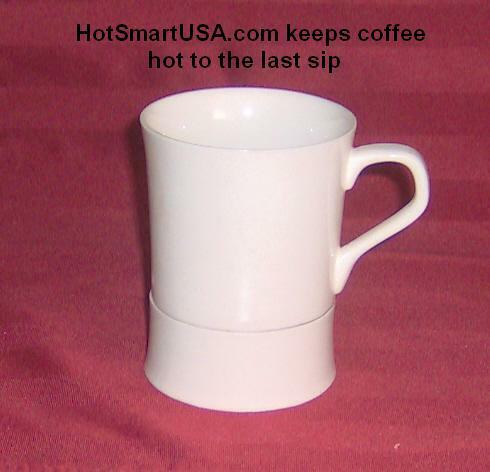 This is a gourmet coffee mug, ideal for a present; it will become a topic for conversation: "my son gave it to me"
Compared to a preheated regular plate; the HotSmart comes out of the microwave hot and keeps getting hotter.